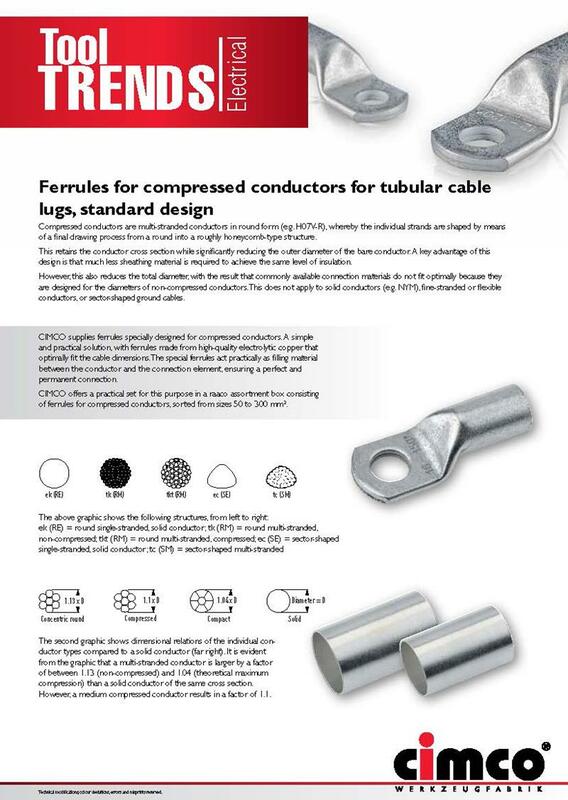 CIMCO supplies ferrules specially designed for compressed conductors. A simple and practical solution, with ferrules made from high-quality electrolytic copper that optimally fit the cable dimensions. The special ferrules act practically as filling material between the conductor and the connection element, ensuring a perfect and permanent connection.